A group of wise guys with powerful voices that blend opera classics with rock favorites such as Queen, ABBA, Journey, Elton John, and Josh Groban. But being Jersey proud, they haven’t forgotten fellow brethren Frankie Valley, Frank Sinatra, Bon Jovi, and Bruce Springstein. 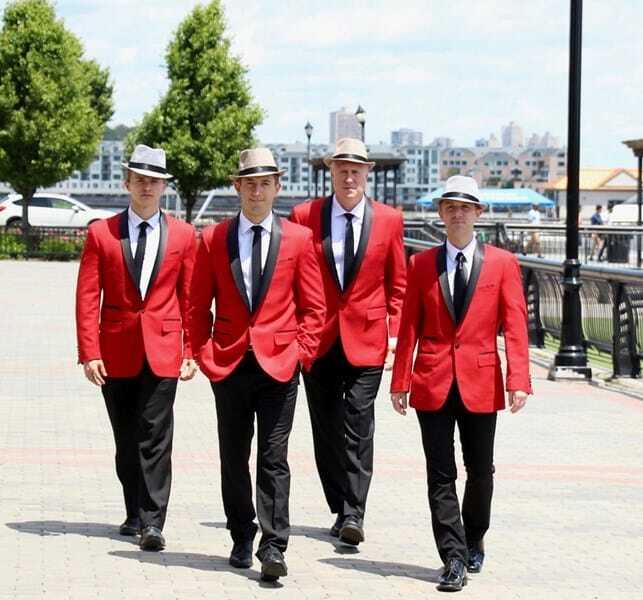 Here’s four exciting boys in red to put the wraps on 2018.2019 at The Dunn Center- It’s the real thing!